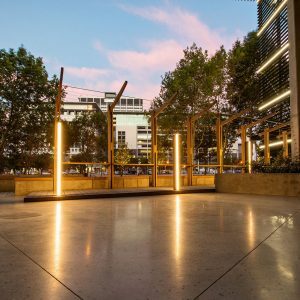 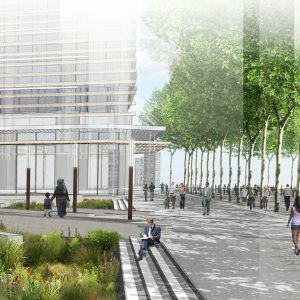 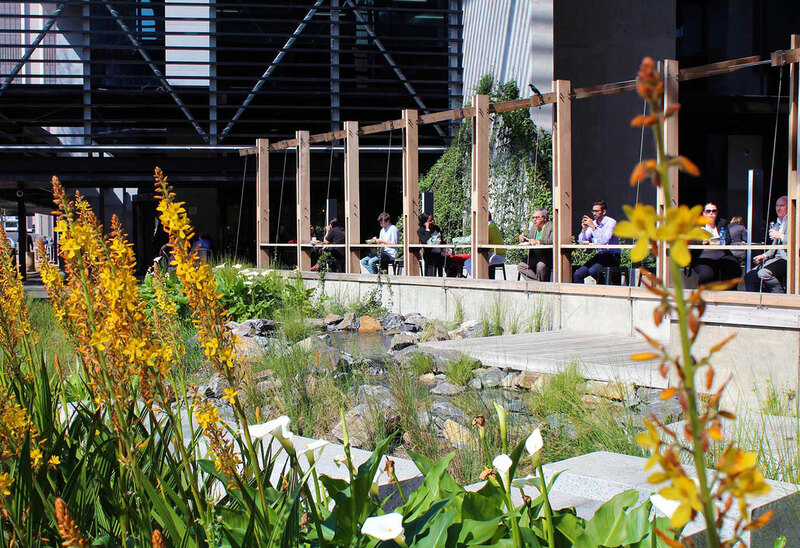 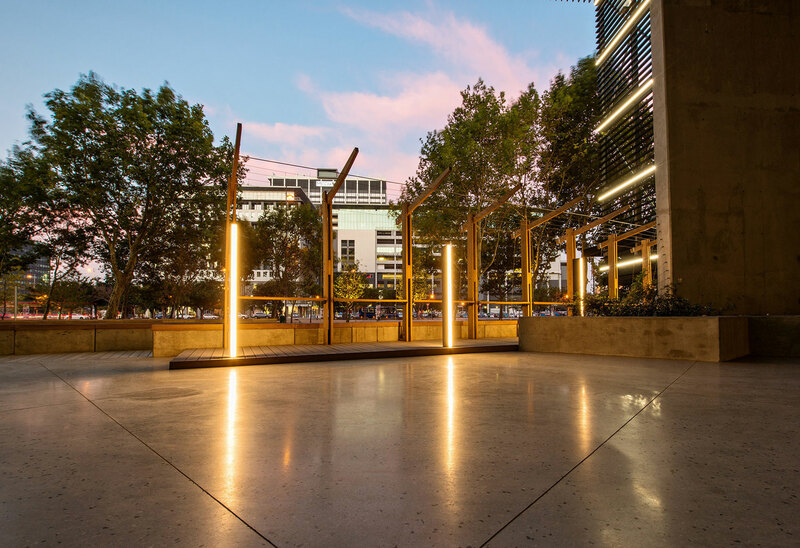 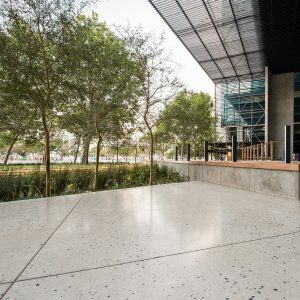 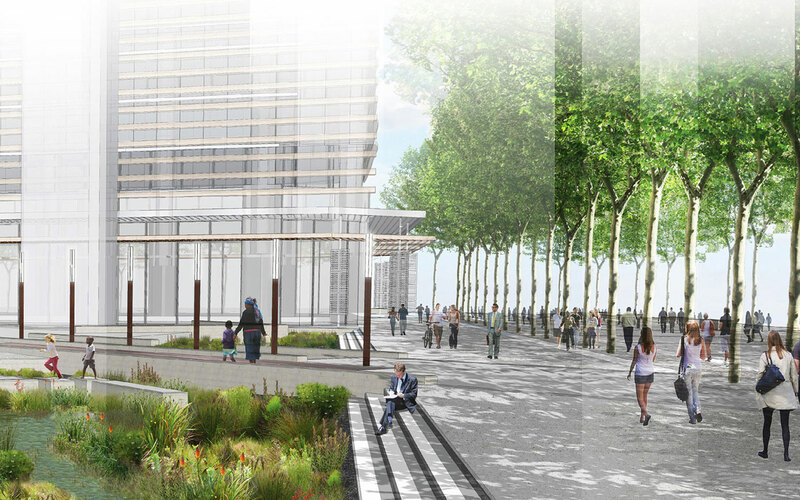 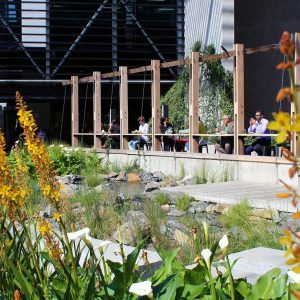 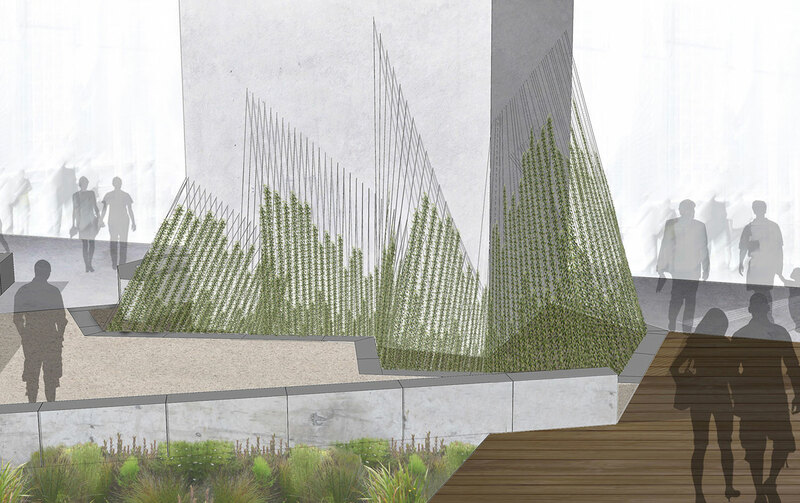 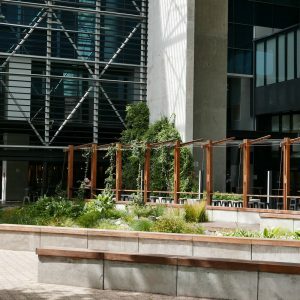 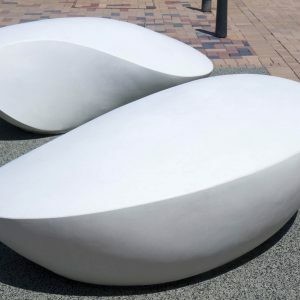 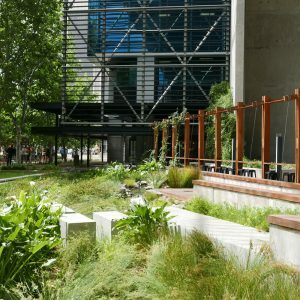 Square One Landscape Architects: The Towers development sought to link two towers with a new building partially covering an unused plaza in the Foreshore area of Cape Town’s central business district. 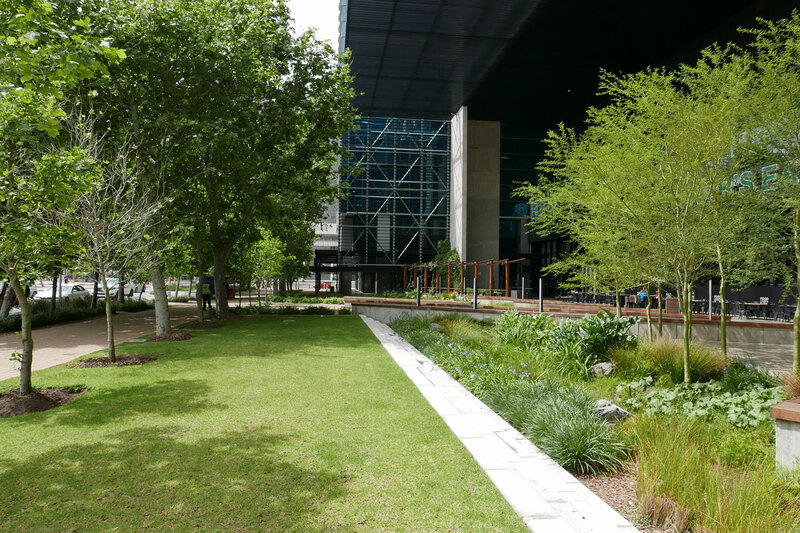 The Foreshore is located between the modern port of Cape Town and the historic city centre. 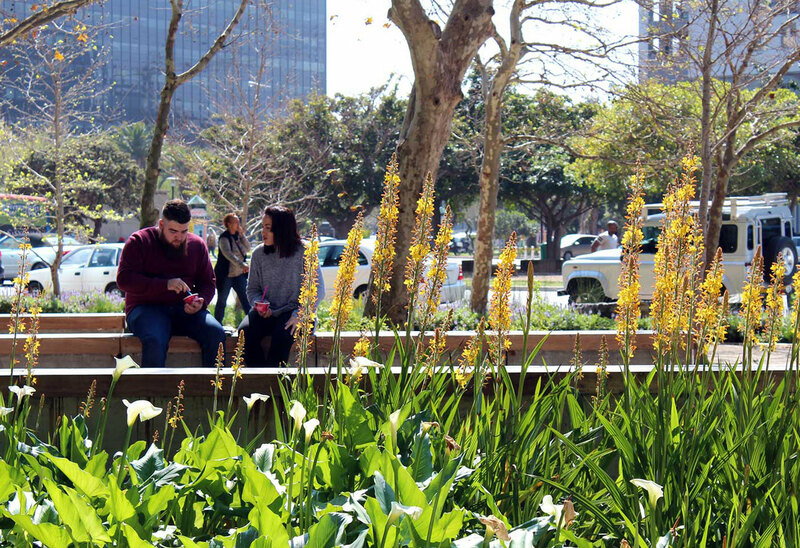 This area was reclaimed from the sea in Table Bay between the 1930’s and 1940’s in an effort to create a more modern harbour precinct. 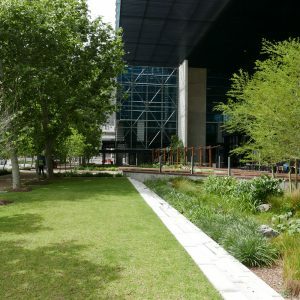 Much of the Foreshore today is a result of modernist planning principles, many of which created harsh, inhospitable environments with very little consideration in creating desirable public spaces. 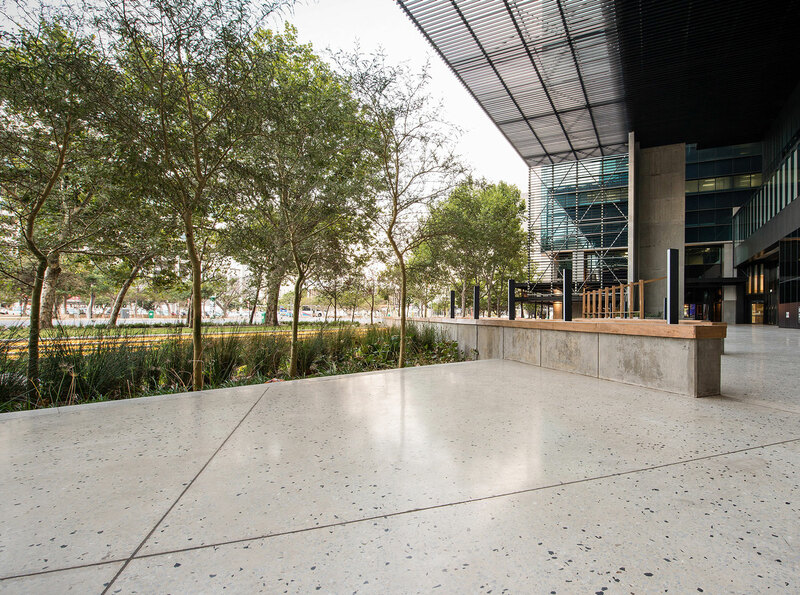 In exchange for developmental rights above public land, the client, Redefine Properties, was required to upgrade the square at the Towers development and activate the building’s edges to re-energize the Foreshore. 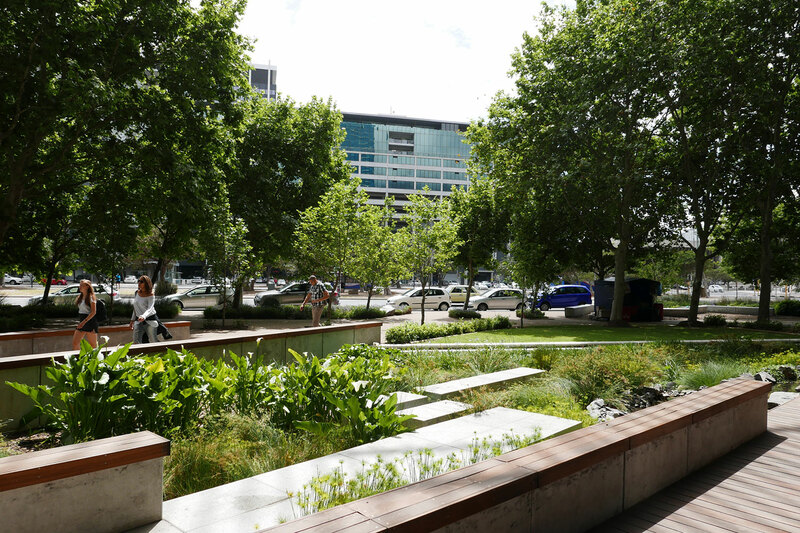 We were appointed to redesign this important but outdated urban square as an ‘urban sanctuary’ within the stark Foreshore environment. 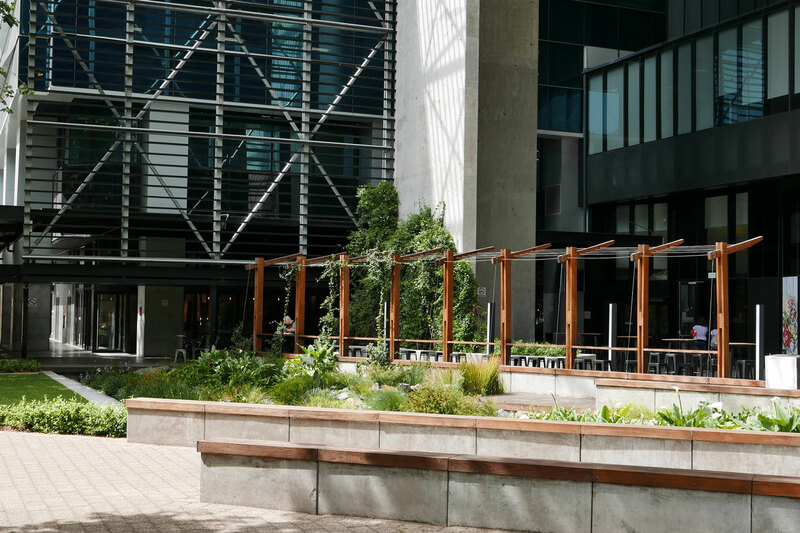 The super canopy & planting countered the existing sterile environment through the manipulation of scale, enclosure & light to create the generous and welcoming urban room it is today. 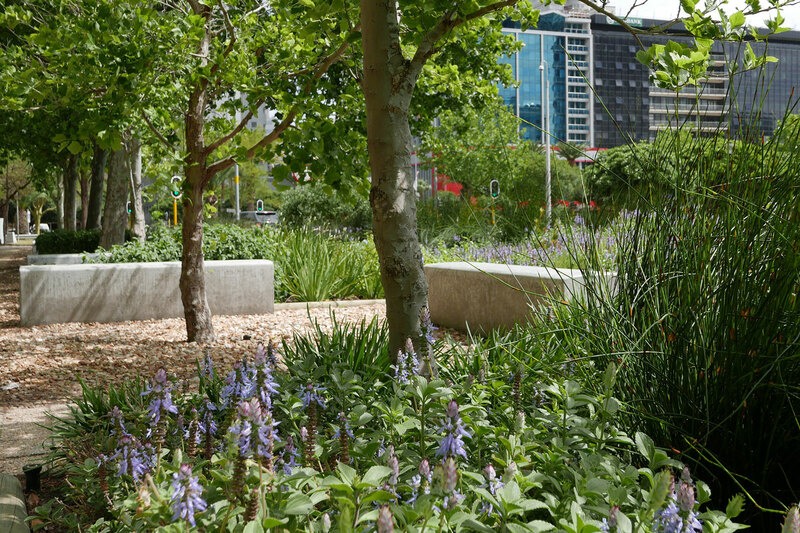 We started with an initial master-planning exercise for the City of Cape Town which re-imagined the foreshore in terms of Landscape Urbanism, integrating storm-water management strategies with a sheltered network of green infrastructure to provide respite from the exposed foreshore context. 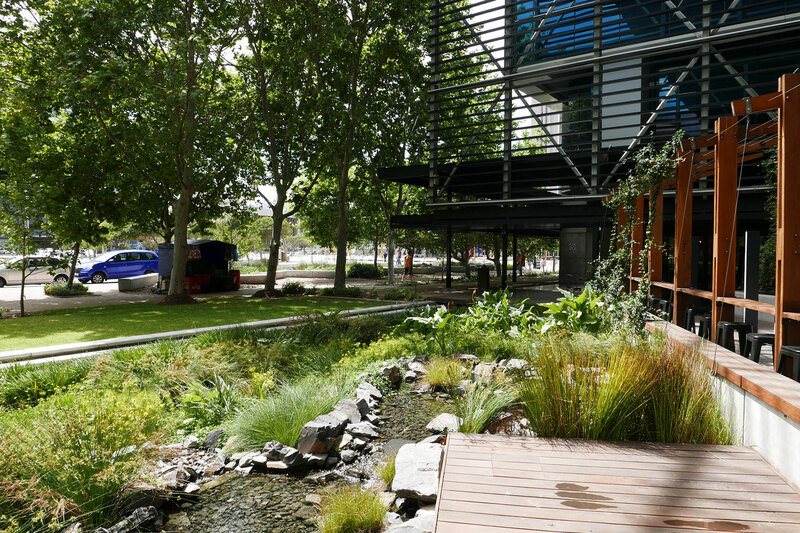 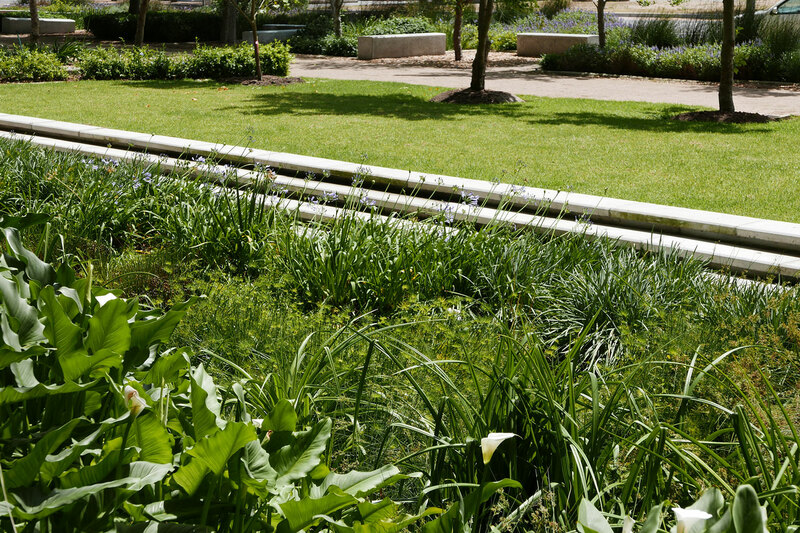 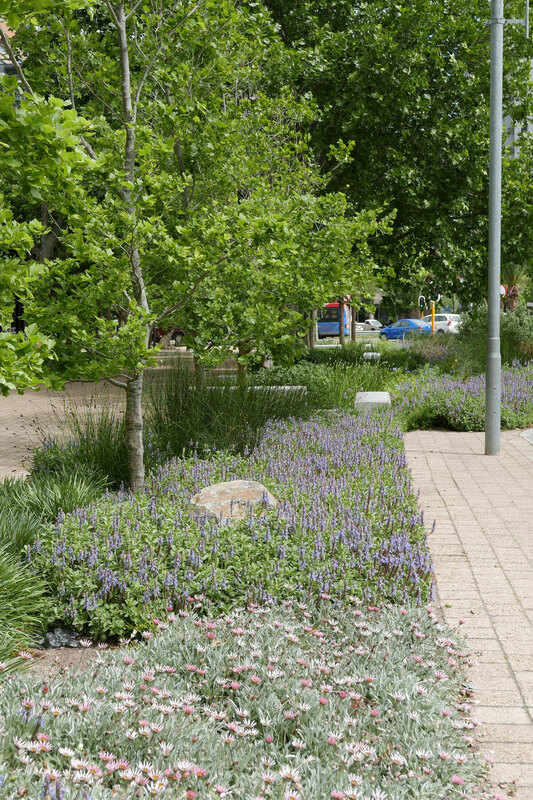 As Cape Town is a water stressed environment we designed sustainable urban drainage systems as the structuring elements for public place-making while facilitating convenient pedestrian movement and connections between the city and the newly upgraded public transport network. 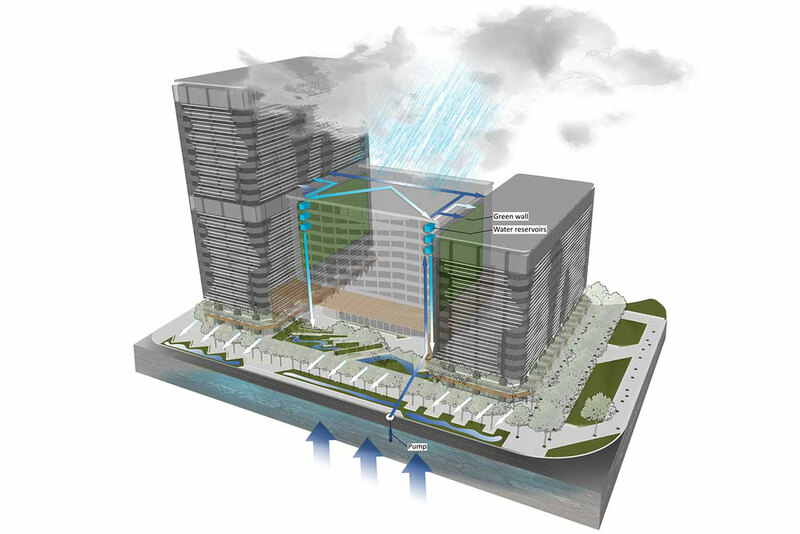 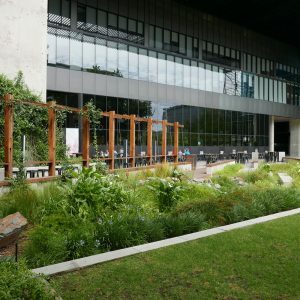 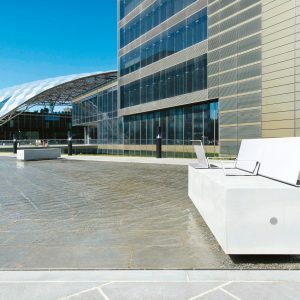 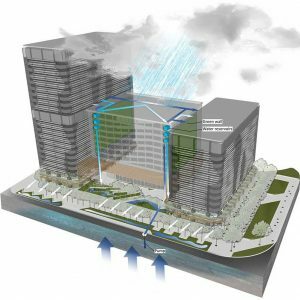 Rainwater is harvested from the roofs of the parking garage and stored in tanks to irrigate the expansive green facades that span the sides of the new building. 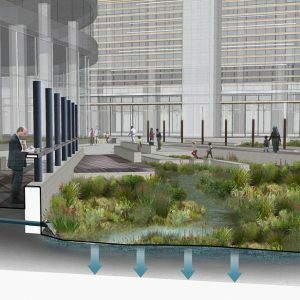 Overflow water is directed down the enormous support columns within the square and directed into relaxation chambers that dissipate the energy from the fall, slowing down the water before it is channelled gently into vegetated bio-filtration basins. 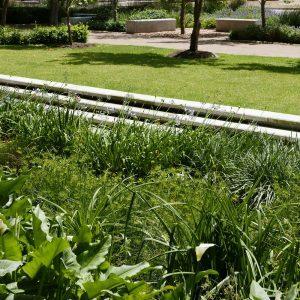 The basins sustain indigenous wetland species & recharge the water table which minimises the need for outdated storm-water infrastructure. 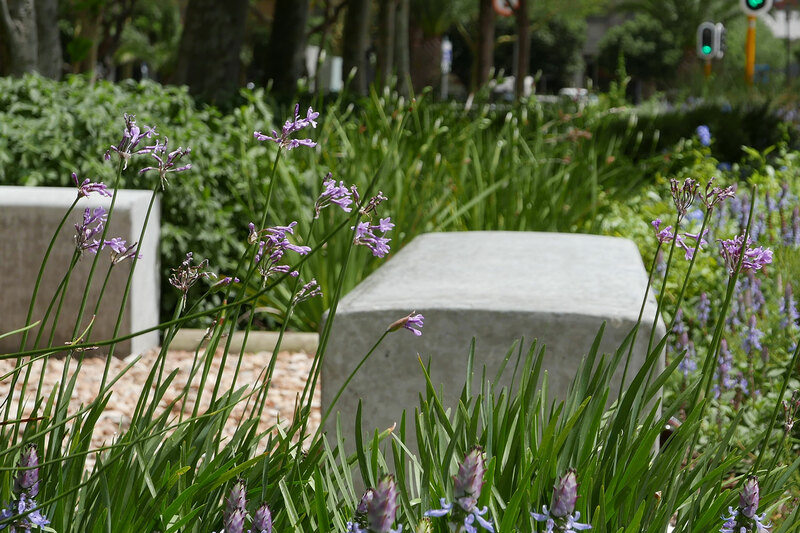 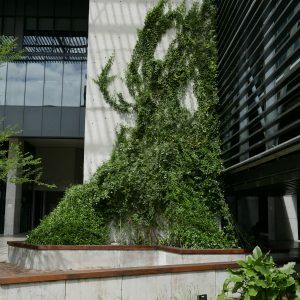 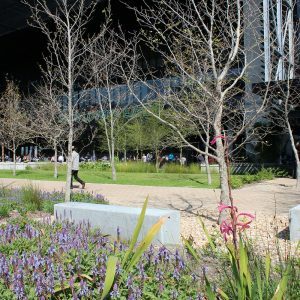 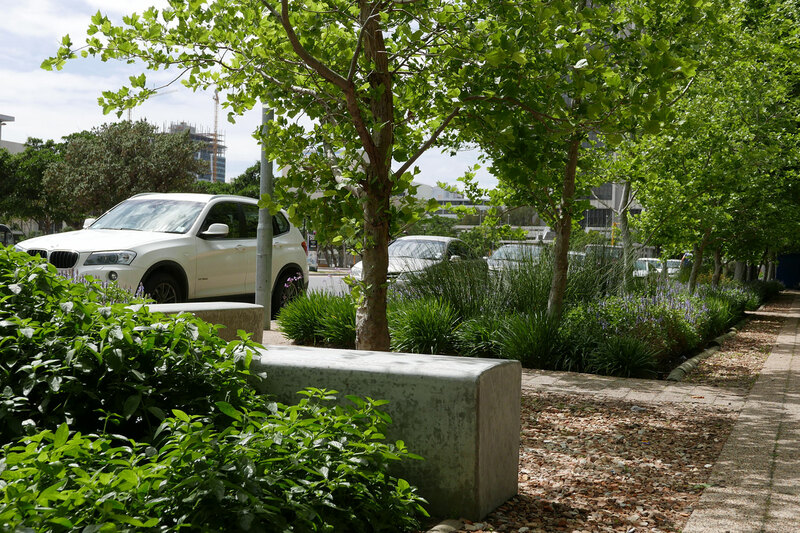 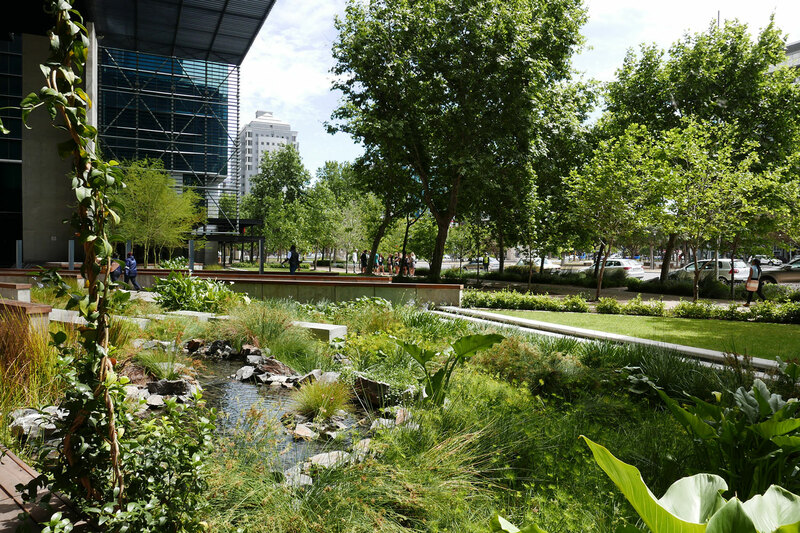 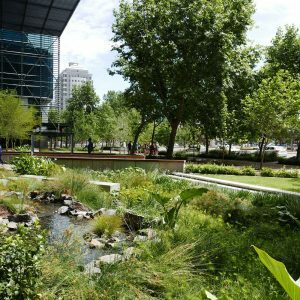 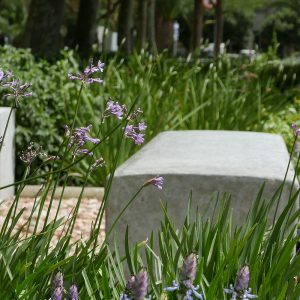 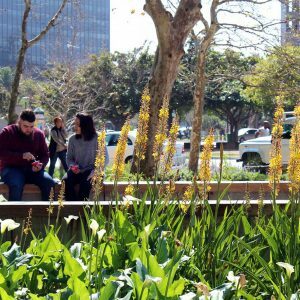 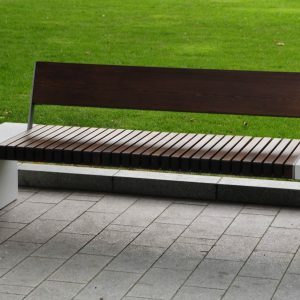 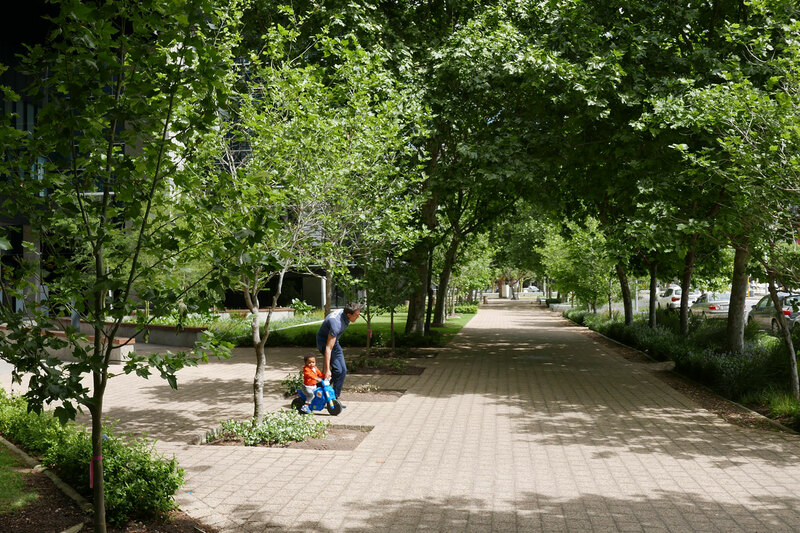 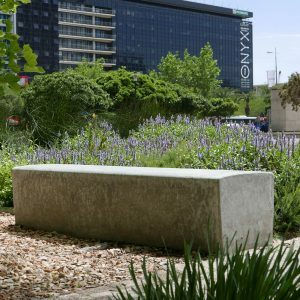 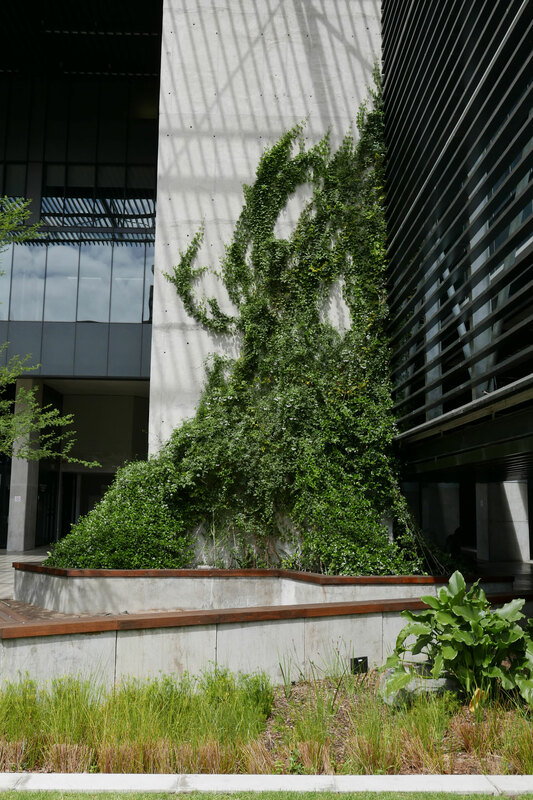 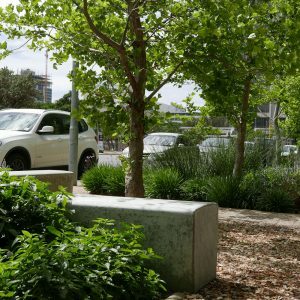 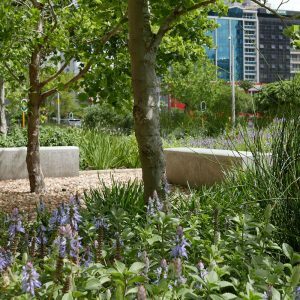 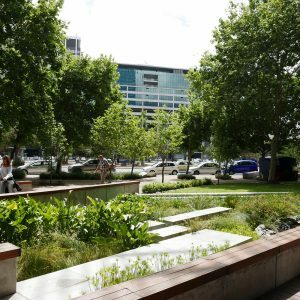 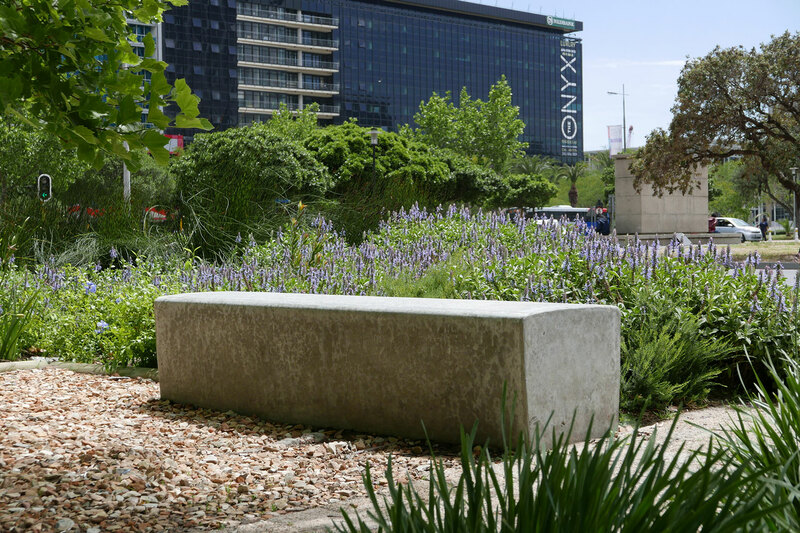 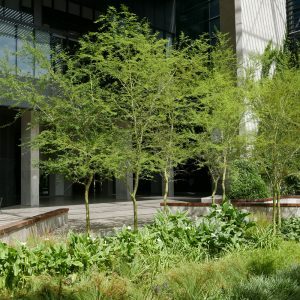 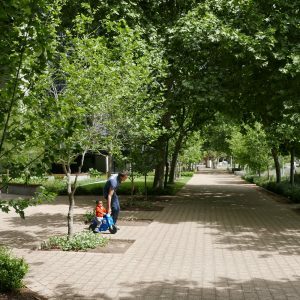 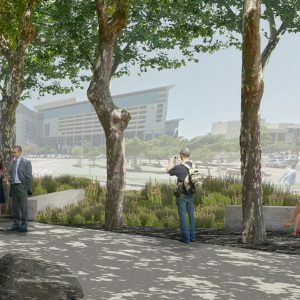 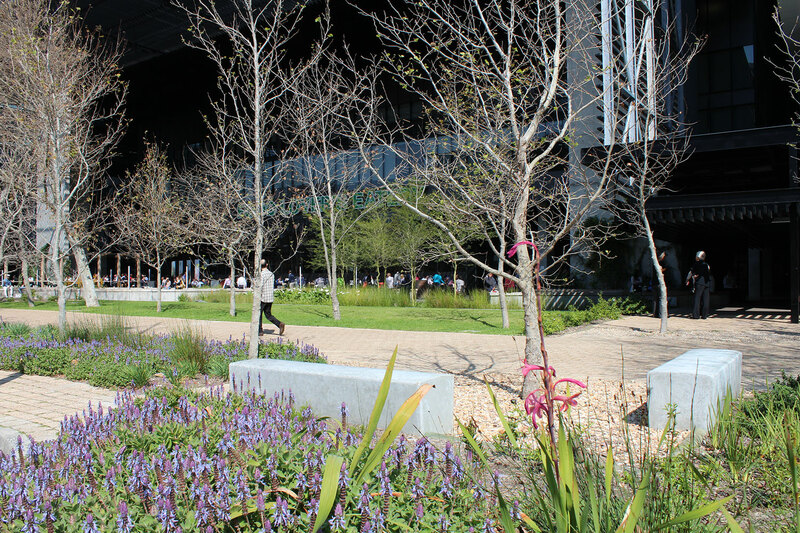 In addition to the square, a new Plane tree avenue links the Civic Centre into the city while indigenous fynbos species add to the natural biodiversity to create seasonal interest. 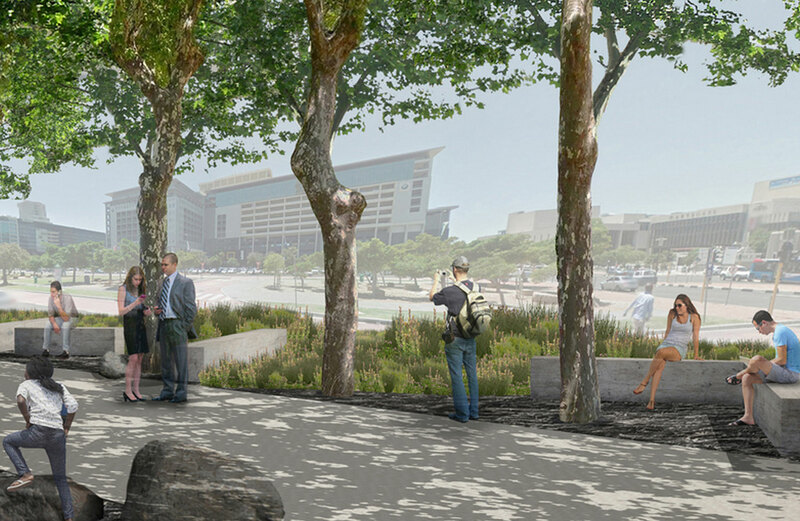 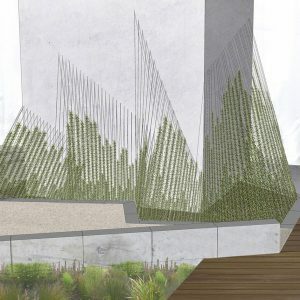 The detailing of the square evokes a marine / wharf environment, referencing the geology and landscape that existed before the foreshore was reclaimed. 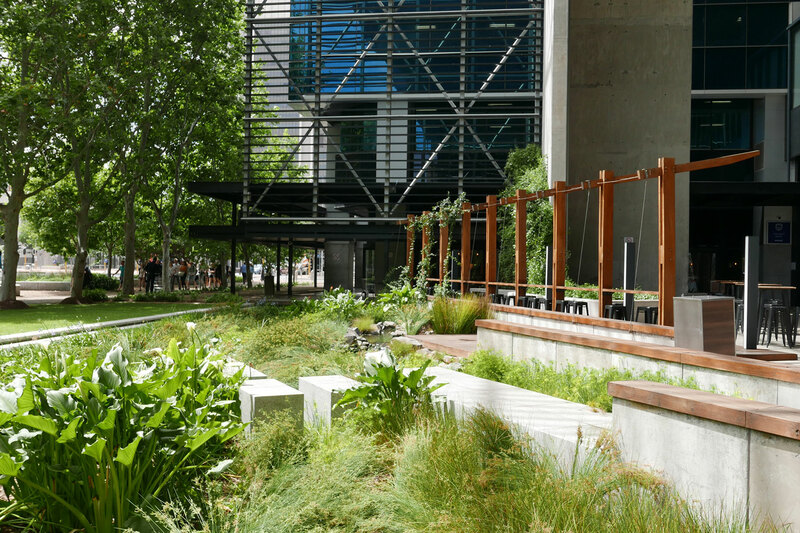 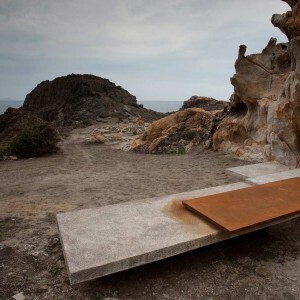 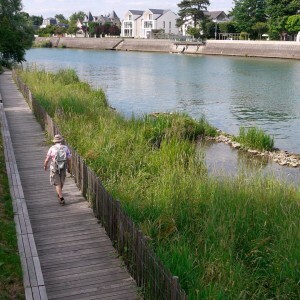 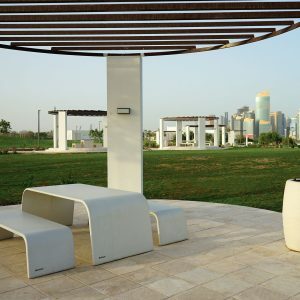 This ground-breaking project uses infrastructure to create an enticing environment for people while enhancing ecological functions. 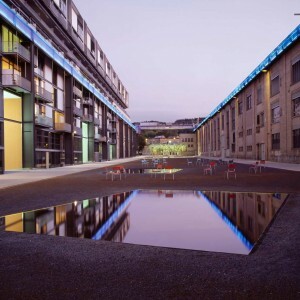 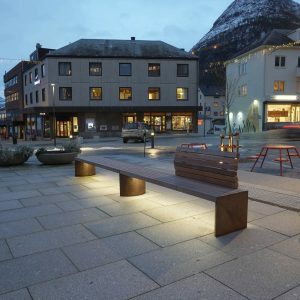 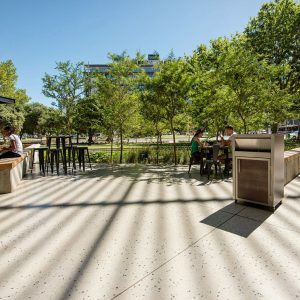 The square is immensely popular & has transformed the perception of open space & resilient design. 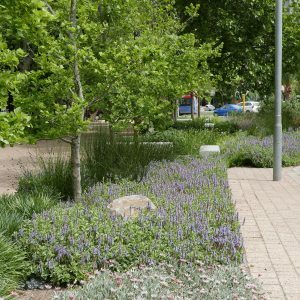 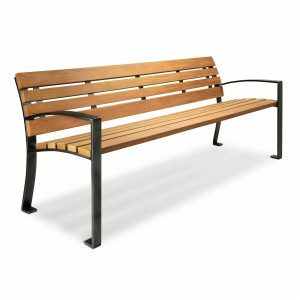 It sets the highest standard for landscape architecture in South Africa. 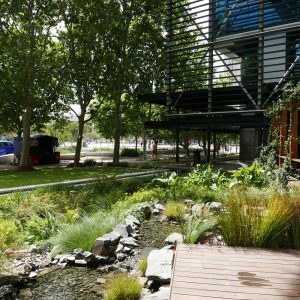 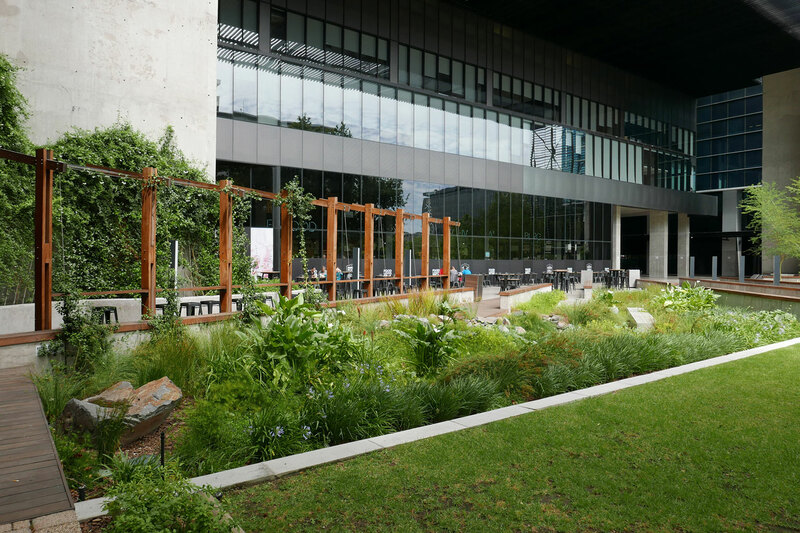 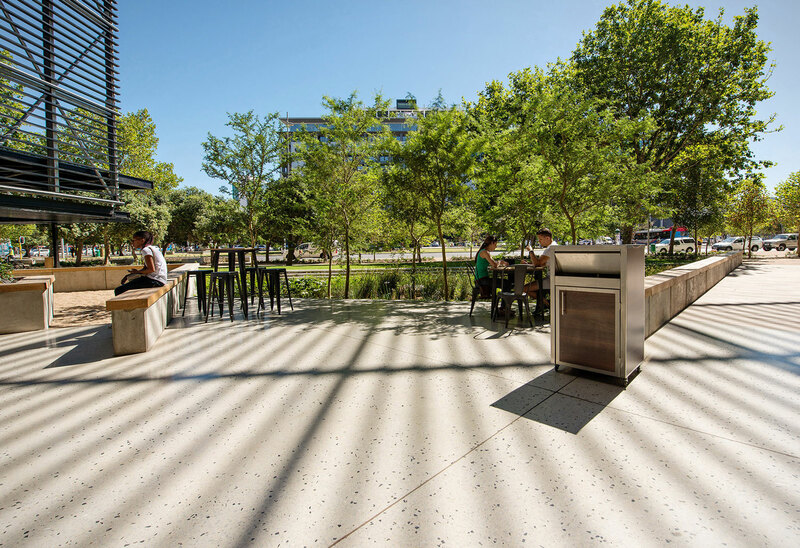 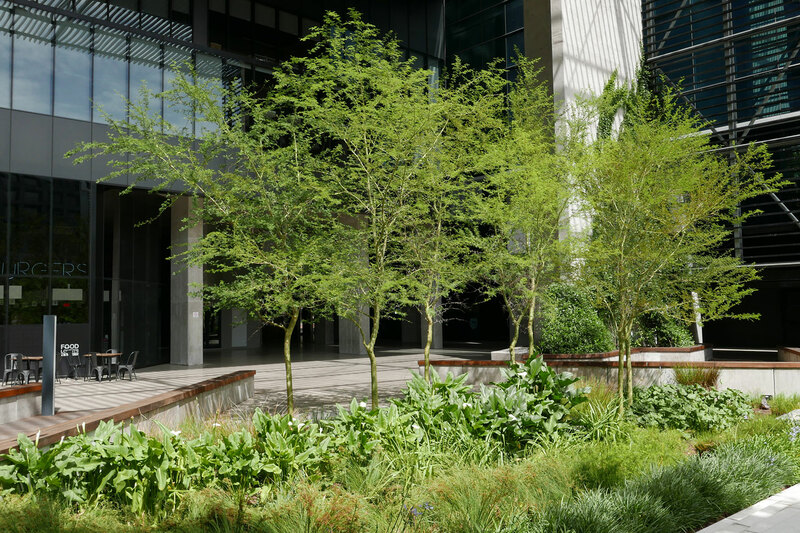 In 2017, the Towers at Merriman Square achieved a Gold Award of Excellence as well as the Environmental Sensitivity Award, bestowed upon Square One Landscape Architects by the Institute for Landscape Architecture in South Africa.